We all have things that we are waiting for, whether it is a new job, a spouse, children or a sense of purpose. 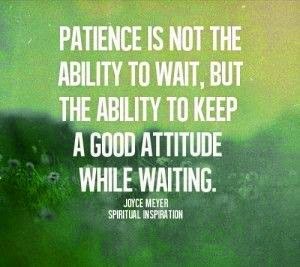 It is easy to become frustrated and wonder when our time will come, but we must be patient and wait for God to work in his time. Pray for the peace of mind while you wait so that worry and frustration don't derail you from the blessings that God has in store.